We are looking for volunteers of International Friendship Fair 2019. 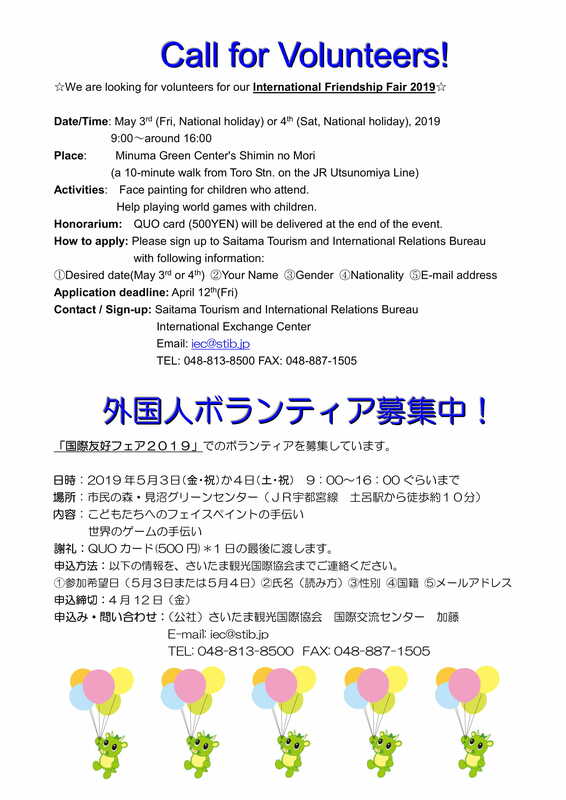 If you are interested, please sign up to Saitama Tourism and International Relations Bureau. Activities: Face painting for children who attend. Help playing world games with children. Honorarium: QUO card (500YEN) will be delivered at the end of the event. 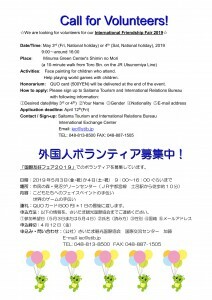 How to apply: Please sign up to Saitama Tourism and International Relations Bureau with following information.